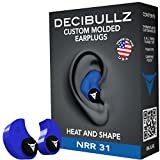 Home / Drum Accessories / Other Stuff / Protect Your Hearing! Hearing Protection for drummers: Essential. 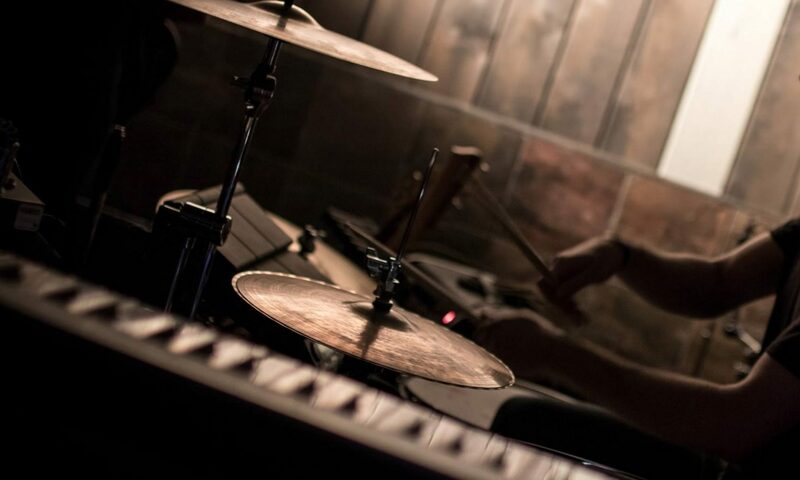 Get some good hearing protection for drumming – you’ll thank yourself in the future. If you’re behind a drum kit, you WILL damage your hearing over time. 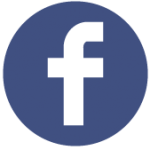 People generally lose the high-frequency range first, which will affect how you think your music sounds… This is an important point if you’re a musician. Hearing loss will also make conversations more difficult later in life, and it will take its toll on your attention and concentration. There are a huge range of drumming hearing protection options (from super cheap to expensive). Here’s an overview of the different products out there, to help you find the best hearing protection to save your ears while drumming. The cheapest hearing protection choice is disposable foam earplugs. They’re good because they’re cheap, but they usually muffle the sound and cut some frequencies much more than others. This leaves you with a poor idea of how things actually sound, usually with too much bass making things sound very muddy. Despite their less-than-ideal sound, disposable earplugs are a great backup to keep in your gig bag. Get yourself a few sets to use in emergencies, or to share with your bandmates when the volume gets turned up. Over-ear earmuffs are another great cheap option. A bonus with these is you can wear regular earphones under them, allowing you to play to a click track or practice to music. Earmuffs will muffle the sound similar to regular disposable earplugs, but they’re another super handy drum hearing protection accessory to have around. They’re also great for adding extra isolation if you’ve got something else in your ears (for example earphones when recording in the studio). In-ear acoustic filters are a step up from cheap foam earplugs. These reduce the volume more evenly across all frequencies, which gives you a much more accurate sound. In-ear acoustic filters are designed for musicians and music lovers, and they’re great for both playing music and for watching live shows. 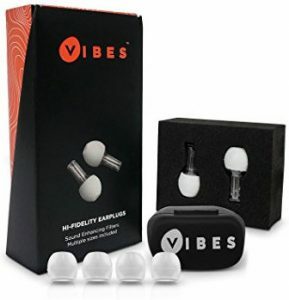 For a top set of acoustic filters that won’t break the bank, check out our review of Vibes High-Fidelity Earplugs. 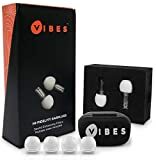 We also feature Vibes in our roundup of the best music accessories and music gifts… They sound a lot better than cheap disposable earplugs, and they also look more professional. For something more personalized, get some molded earplugs to fit your exact ear shape – these are available in do-it-yourself packs, and also as more accurate (and more expensive) molds which can be made by visiting an audiologist. Molded earplugs will usually muffle the sound, but they’re perfect if regular hearing protection doesn’t fit your ears, or feels uncomfortable. If you need to play to a click, monitor your bandmates, or play along to music, then you’ll need some good quality in-ear monitors. 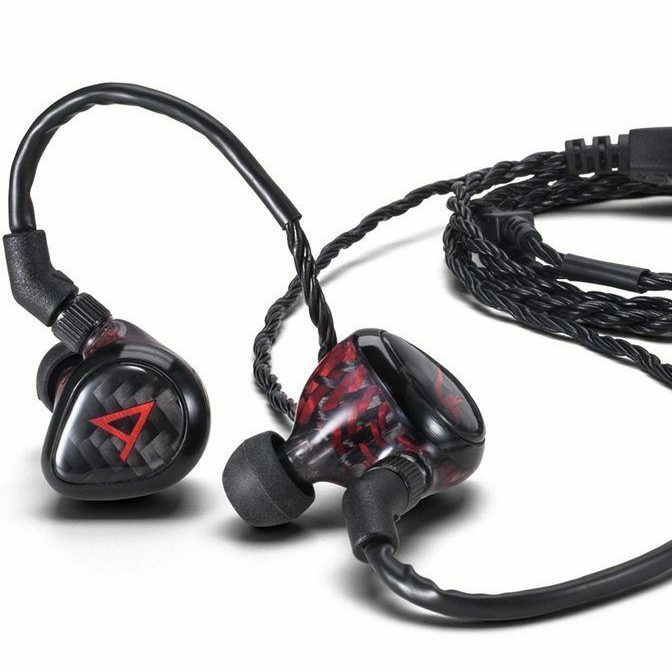 These are great for live, practicing, and recording, and as a bonus you can use them as regular earphones when you just want to listen to music. Most in-ear monitors come with different sized earpieces, or custom-fit monitors can be made by visiting an audiologist. These can get quite expensive, but they’re a great long-term drum hearing protection investment. If you plan on spending a lot of money on these, here’s some advice: make sure you get a set with a replaceable cable. Before you buy, make sure you also check the amount of noise isolation they provide… Cheap in-ear monitors won’t provide good isolation, meaning you’ll need to turn up the volume to hear them over your drums (which will damage your hearing!). 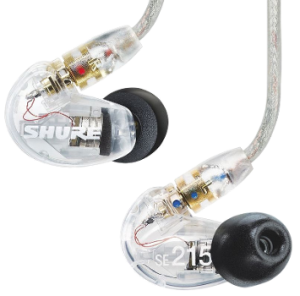 For a great budget-friendly set of in-ear monitors for drumming, check out the Shure SE215 on our top drum gifts and accessories page (or see them here on Amazon). For a step up in price and performance, the Westone UM Pro30. Both of these options provide great hearing protection while drumming, and they’ll help you take your playing to the next level when practicing, recording, and performing.